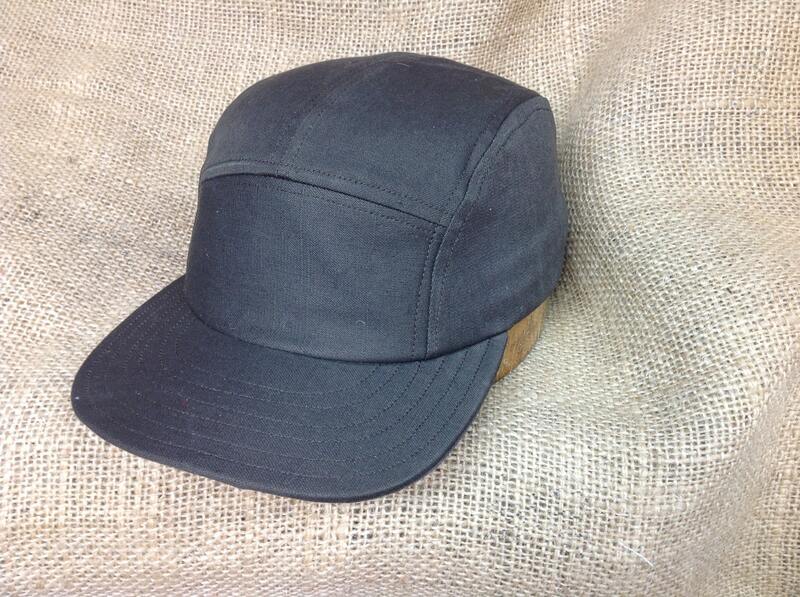 Dark twill 5 panel cap, cotton sweatband, adjustable with leather strap and brass slide. Visor size 2.5. Other visors available. 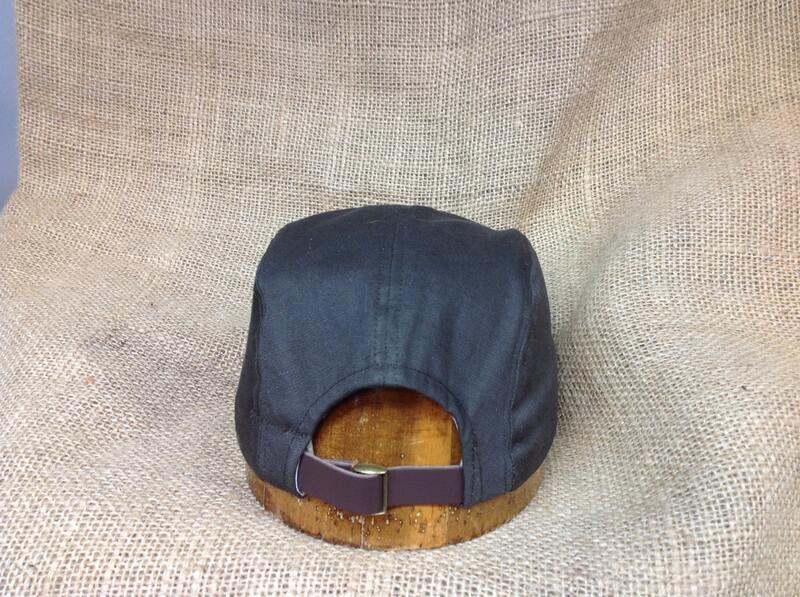 Dark twill 5 panel cap, cotton sweatband, adjustable with leather strap and brass slide. Visor size 2.5". Other visors available. 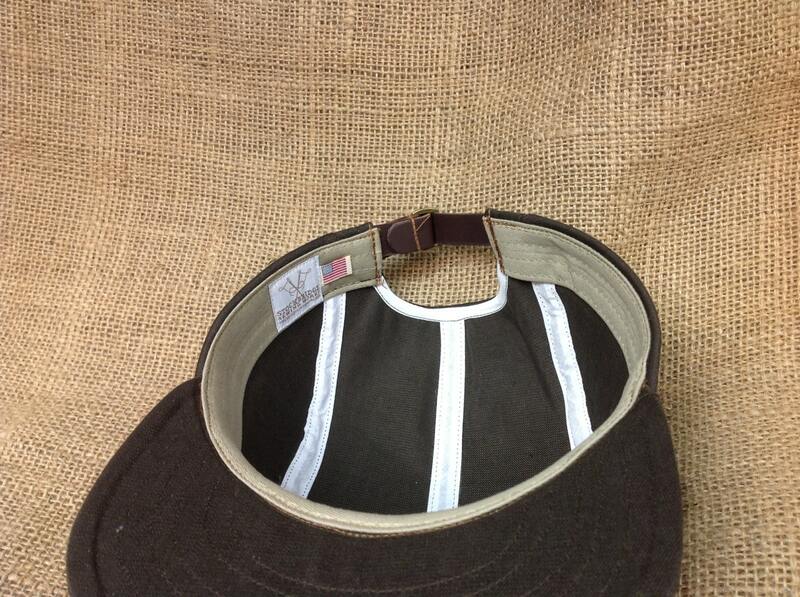 The five panel cap fits your head comfortably while sporting the more modern look. 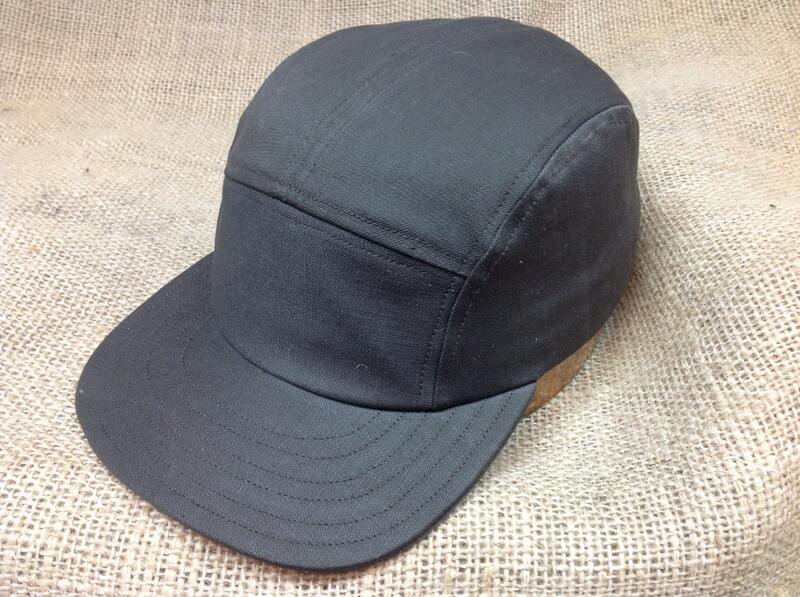 This fabric is a durable cotton blend twill and with a slight stretch that conforms to your head while offering the comfort your looking for in a cap. Th dark green color is reminiscent of vintage military garb. The brushed twill sweatband is comfortable against your forehead. Leather sweatband available upon request. Great hat. Great style. 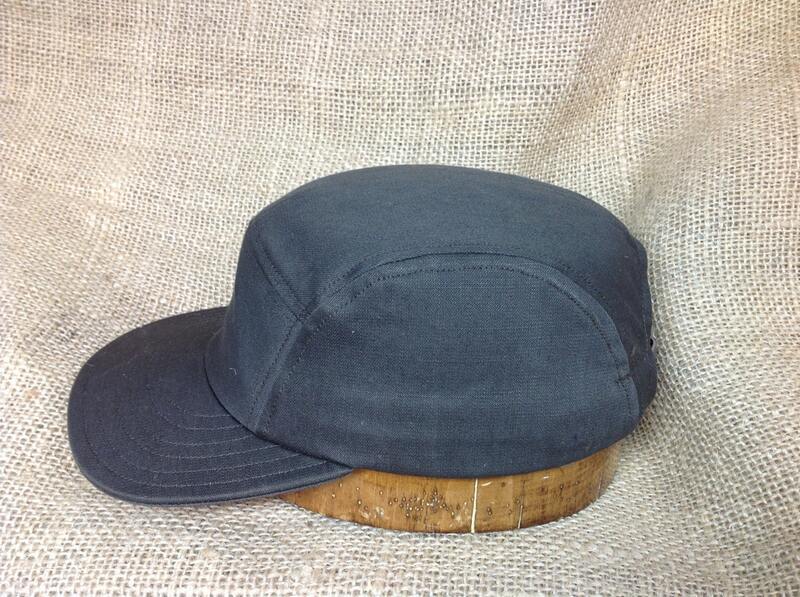 Built by a true artisan hat maker. Off to order more.